Loro Parque recognises your distinguished acting career, but believes that you have been seriously misinformed by the extreme animal-rights organisation, PETA. PETA appears to have enlisted your support to accuse Loro Parque of mistreating the orcas in its facilities, but nothing could be further from the truth. For you to verify the situation directly, Loro Parque invites you to visit the park and orca facilities. The incident which appears to have triggered your involvement in this issue is the recent video of the orca Morgan lying out of the water at the edge of the pool, which animal-right activists alerted to the media with the completely false message that her behaviour was abnormal, and that it signalled such a high level of stress in the animal that she was supposedly trying to commit suicide. This allegation is so absurd that even the well-known activist for Morgan´s liberation, Dr. Ingrid Visser, otherwise quite a critic of Loro Parque, has rejected the suicide attempt explanation in National Geographic magazine. Under human care, orcas voluntarily slide out of the water and spend varying amounts of time in a completely relaxed state before deciding voluntarily to return to the water. The trainers do not need to induce them to leave or enter the water. This is exactly what Morgan is doing in the video, and she is not at all stressed, she has not been chased out of the water by the other orcas, and she certainly is not trying to commit suicide, an act uniquely confined to our own species, Homo sapiens. Like all the animals in Loro Parque, the orcas have our total respect and affection, and receive superlative care, making sure of their optimum health status and overall well-being. We want you to know that if an orca does not engage in any particular activity, there is no way that it can be compelled to do so. The truth is the exact opposite: the orcas in Loro Parque engage in the activities voluntarily and find them stimulating. It is a serious oversight by PETA not to have brought to your attention that Morgan has a serious hearing deficiency, something that the trainers in Loro Parque detected shortly after her arrival, and subsequently confirmed in tests conducted by three independent experts. 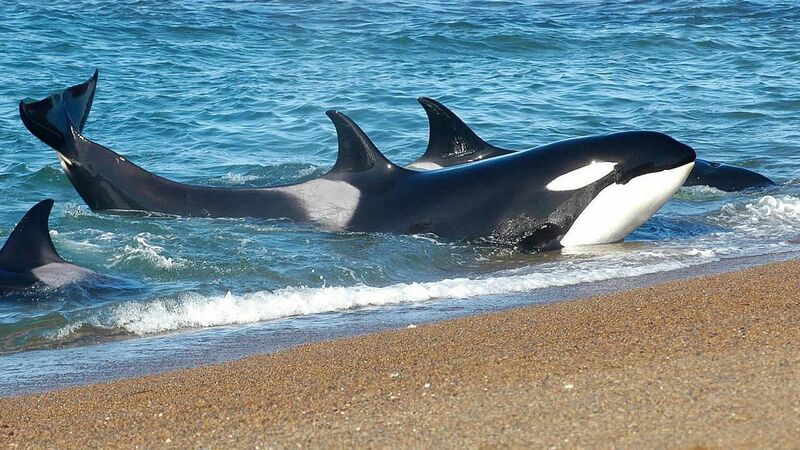 Healthy auditory function is a critical requirement for orcas to survive in the wild, because its impairment means that hunting and social cohesion of the individual are not possible. It can be speculated that this was the reason why Morgan was found isolated and in a moribund condition on the coast of The Netherlands. 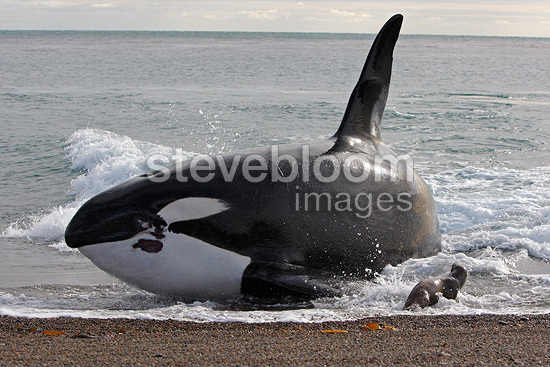 All experts in orcas will tell you that her release into the sea would result in her certain death. And it would not be a pleasant death. From the overwhelmingly positive comments that Loro Parque receives from its at least one million visitors annually, we are totally sure that none of them would agree that they lack compassion for having visited the park and seen the orcas. In spite of the clear evidence to the contrary, PETA continues to promote its extremist agenda that Morgan and the other orcas in Loro Parque are suffering. In August 2015, PETA denounced Loro Parque to the Spanish authorities for alleged maltreatment of the orcas. This resulted in an exhaustive inspection of Loro Parque by the Spanish national Nature Protection Service (Servicio de Protección de la Naturaleza-SEPRONA). The resulting report not only clears Loro Parque of the mistreatment of any animal, but goes further to praise Loro Parque for its highest standards of care. Such evidence does not interest PETA, neither that Loro Parque is voted, by people from all walks of life, the first zoological park in Europe and second in the world under the ‘Traveller’s Choice Awards’ of TripAdvisor, and neither that Loro Parque receives top marks under the ‘Animal Welfare Guidelines’ of the major tour operator associations. PETA also shows no interest in the important conservation work to help the protection of orcas and other cetaceans in the wild to which Loro Parque contributes through the Loro Parque Foundation. This conservation work has provided the key information necessary for the Spanish Government to decide on marine protected areas for the threatened population of orcas in the Strait of Gibraltar. It has also contributed to knowledge about the levels of persistent chemicals accumulating in orcas and other cetaceans in European waters. Loro Parque hopes that this letter has provided you with objective information in comparison to the distortions that you might have previously received, and repeats its invitation for you to visit the park.